Many writers dream of becoming a bestselling author. Writers who are tired of trying to find a publishing house to accept their manuscript are taking matters into their own hands by self publishing their books online. eBooks have easily become the most desired publishing method for ambitious writers. But with all of the books published everyday, how do you find the right market or niche for your book so that it will make it to the top of the bestselling list? Let's face it, the writing industry is very cutthroat. There are literally millions of people from all over the world dreaming of becoming a bestselling author. With so much competition fighting to get their books at the top of the reader's market, writers have to work hard to promote their product. This work can be even more difficult if the author doesn't know what readers are looking for. Kindle Spy 4 is a software program that allows online writers and publishers to research Kindle eBooks to find which niches and titles are top sellers and most sought after. This program helps writers find the most popular niches in eBooks so they can choose a topic to write about. It is an invaluable tool for many online writers who self publish their own books. The spyware works by ranking the books, titles and descriptions in three categories: competition, popularity and potential. It then shows where each topic or category fits into these categories using a red, yellow and green light method. Kindle Spy software not only works to analyze different book genres, but it can also be used to assess keywords used for titles and descriptions of a book. A stand out title is a major selling feature for any book It is essential to use words in the title that are the most popular in customer searches. Knowing what words are the most frequently searched is essential for selling books. 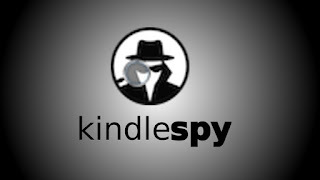 For writers who are looking to publish their own eBook, Kindle Spy helps them spy on other authors to see who the top sellers are and what books are the most sought after. This helps the writer find the most popular niche to write and publish a book. It helps the writer find their place in the market and increases their odds significantly of making a profit off of their book by becoming a top selling author. Kindle Spy 4 is an inexpensive program. For less than $50, a writer has unlimited daily access to the buying and selling activity of every book and topic in Kindle. This one time purchase comes with a 60 day warranty and unlimited updates. The program itself is very easy to install and takes very little time to download. It can be used on any laptop, desktop, tablet or device that has Chrome or Mozilla installed. The spy software is very user friendly and easy to navigate through. Even the most technically illiterate user can navigate their way through this program to search for information on different book topics and genres of books. The spyware analyzes the selected category and lists all of the statistics of the books in that area including their sales, revenues and ranking. The spy program uses real time analytics to assess each title, category and genre so the author can track books, topics and authors. It's based on current information, not dated information. Which can be crucial information for an author's. The program uses a simple categorizing method that is easy to understand. There are three categories that are analyzed: Competition, Popularity and Potential. A red, yellow or green light system is used with each category to determine how good or bad each one is. Three green lights is very good while three red lights is very bad. Super simple. The spyware does much more than just analyze book topics or genres. It also analyzes keywords to show the future writer which words are most searched. This helps authors create winning titles and descriptions using the most popular words. This is a clear advantage when it comes to promoting and selling your book. The program only works for Kindle Books. There are many other eBook stores that the program does not analyze so the information the author gets is limited to Kindle sales only. The program can only be used with Chrome and Mozilla. If you do not have these search engines on your device, you will not be able to download the program. The spyware only seeks out information in the US, Canada, the UK, Germany, France, Spain and Italy. It does not analyze information from any other country. This can be very limiting for some authors. The program does not guaranteed completely accurate information all of the time. Conclusion: Kindle Spy 4 is a software program that allows aspiring writers to look for the top genres and titles of best selling authors and books in Kindle eBooks. By knowing which titles and topics are the most popular, a writer can then write their own book top selling book. For many writers, this is an invaluable tool that has helped them publish successful books and earn a living with Kindle eBooks. With thousands of books being published online everyday, this program gives writers a leading edge on the competition. For successful writers it is crucial to know and target your market to make your book stand out in the sea of eBooks. Kindle Spy 4 software shows real time statistics on top selling books and authors in every category, topic and genre. It even helps writers develop an award winning titles and descriptions using keyword optimization to put their book at the top of the search list. If you are a writer and are considering publishing a book on Kindle, this spyware is a must have. The small investment you make today will guarantee you a successful publishing career tomorrow.